and thanks/grr for introducing me to necklush in your prev. post. they are going to neck me out of house and home because they are so GORGEOUS! Good for you putting forth all of this effort for such a good cause! I’m actually volunteering tomorrow at our local Gleaner’s with some co-workers! Perfect timing Now I can write a blog post about our volunteer experience and link back to the Pledge! By the way, my mouse is about seven years old. It still has a “tail.” I’d love to have one that matches your dress! lauryn.goodvich@gmail.com! I pledged when I read your blog post a few days ago – What a great cause! And, did you see that mediasauce did a whole email push for this same deal today to their contacts? Us Hoosiers really know how to rally! Alanes last blog post..Star Sighting! I pledged and I love love love that dress. Dang, you are smokin’ hot in that dress! 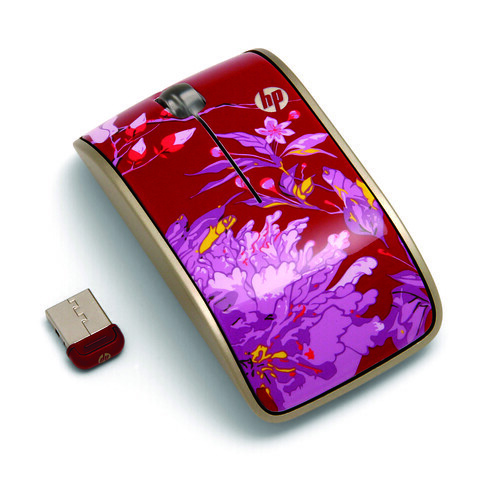 So if I win a mouse and you wear that dress to blogher, can I camouflage the mouse on your dress at some point? WOW I just clicked over and pledged but seriously, Indiana is kicking every other state’s trash. That is incredible. josiemalquist at yahoo (dot) com. I pledged to give…and helped Texas out. I can’t believe Illinois is beating us!! I pledged, I tweeted, I joined the Facebook cause! It’s not working for me!! I pledged and I made my boyfriend pledge! haha I really hope we can get that truck out to Indiana! I pledged! jweaver1983 at gmail dot com. Jesss last blog post..Shopping Trip! I pledged! And I’m excited Indiana’s far ahead, and I think MediaSauce (the contact for the fundraiser) is awesome, since I know at least 3 people that work there. joannas last blog post..On "Opportunity Cost"
I pledged! And you’re over 1600 now! I pledged. What a great idea! I pledged! And I agree with the others – this is a GREAT idea! I pledged! what a fantastic cause! I pledged and I loooove the things you come up with to get people out there and helping. I pledged service hours at the North Texas Food Bank and will sign up when the next volunteer day is offered. I pledged! What a great cause! I pledged! Thanks for letting us know about the food drive. Pledged and fed my kids at the same time. Helping hunger at home and elsewhere!!! 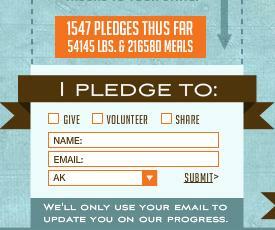 I pledged- also donating to the local scout drive- utah pantries are empty!! there is so much need! Pledged! I’m going to put a share badge on my site as well! I love that you are doing this and helping those in need! I pledged!! The banner is on my left sidebar. Thanks for using your powers for good! I pledged. I’m also sharing this info. and donating to my local food pantry as well! And added the button to my site. I pledged to give! I hope to win! Thanks for the giveaway! jens last blog post..good times. I pledged… I sure do hope I win! It is so pretty! Pledged for a good cause! and I noticed one of their sponsors is kimball furniture….another great southern indiana company. What a great cause. I pledged, now I’m going to tweet. I pledged on the weekend! Actually, I pledged twice because the first time it was stuck on Alaska. Oops. I’m April in MA.